Handmade by Weaver Tile in Horton, Michigan. 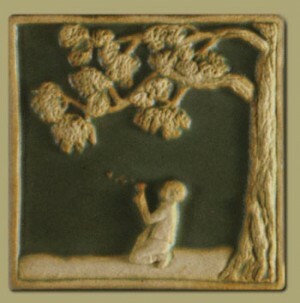 This tile measures 6" x 6" and is available unframed or framed in either our Legacy or Oak Park frame. This tile can also be framed with other tiles from the Children's series. Please call for prices on custom combinations.